"Allemansrätt" is the Swedish philosophy of the right of public access to land and the implicit responsibility to protect and conserve it. Allemansrätt Wilderness Park in Lindstrom, northeast of St. Paul, occupies more than 90 acres of woodland and wetland habitat for otters, beavers, deer, and more than 100 species of birds. The land borders Bull Lake and lies within the Sunrise River watershed, which feeds the St. Croix River. 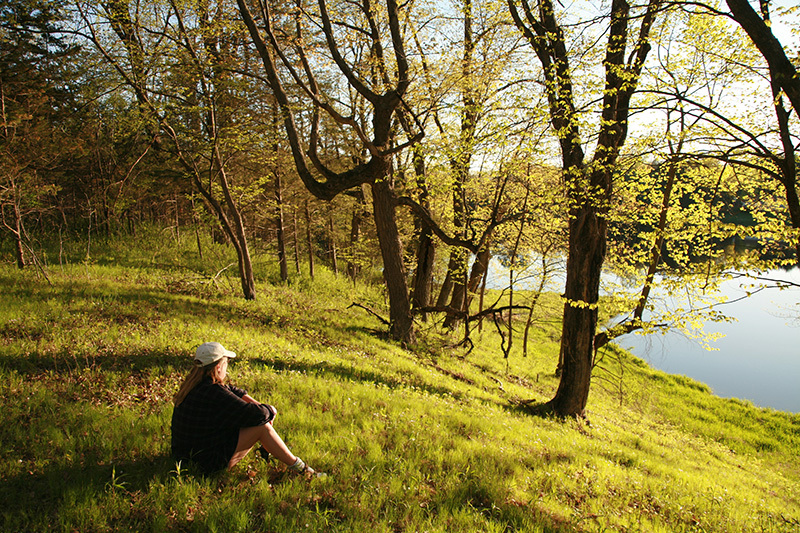 In 2010, The Trust for Public Land protected an additional 64 acres for the park. In 2014, we helped add the Lake Cabin, an emigrant house from the 1890s, and a 30-acre peninsula with beautiful lakefront views. Funding for the 2010 acquisition was provided by the Minnesota DNR's Remediation and Metro Greenways grant programs, and the Environment and Natural Resources Trust Fund as recommended by the Legislative Citizen Commission on Minnesota Resources. Funding for the 2014 acquisition was provided by the Environment and Natural Resources Trust Fund as recommended by the Legislative Citizen Commission on Minnesota Resources.